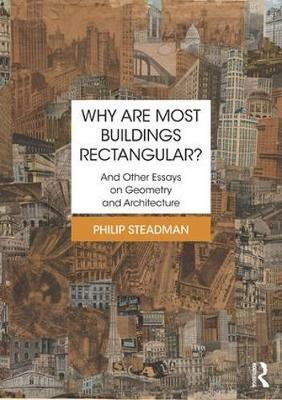 This book brings together a dozen of Philip Steadman's essays and papers on the geometry of architectural and urban form, written over the last 12 years. New introductions link the papers and set them in context. There are two large themes: a morphological approach to the history of architecture, and studies of possibility in built form. Within this framework the papers cover the geometrical character of the building stock as a whole; histories of selected building types; analyses of density and energy in relation to urban form; and systematic methods for enumerating building plans and built forms. They touch on a range of key topics of debate in architectural theory and building science. Illustrated with over 200 black and white images, this collection provides an accessible and coherent guide to this important work. "The publication of any book by Philip Steadman is a cause for celebration. Over the course of his career, few scholars have exhibited Steadman's range or shown as much versatility as this essay collection brilliantly showcases.